When I first started to think what I would like to wear on my wedding day I started the whole dreaming process from shoes. Obviously. 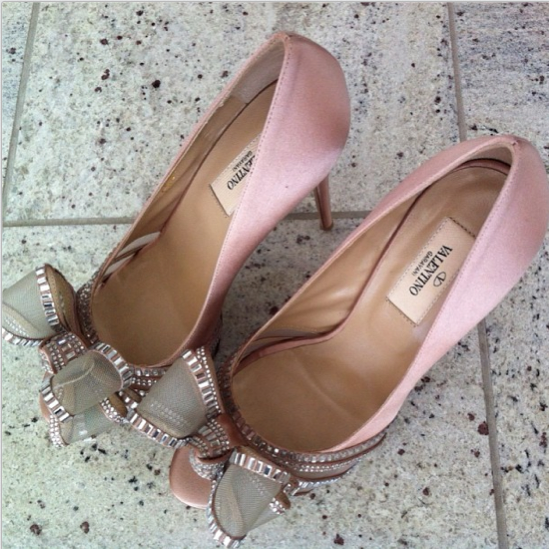 I fell in love with this Valentino pair that was all over different wedding planning sites and blogs. I started hunting them down and found them... ordered them. And then did not love them as much as I thought I would. So -- as lovely as they seem, I am not wearing them on my wedding day. Instead - I'm wearing something different... what? I will show you later.